Few people can say that their signature appears in the same book as Sir Isaac Newton’s. The University of Toronto's Nancy Reid will soon be able to stake that claim – once she signs the Royal Society’s charter book. The Royal Society recently announced that Reid, a University Professor in the department of statistical sciences, is one of 50 U.K. and commonwealth scientists selected to become the society’s newest fellows. She shares this year’s honour with some of the world’s most eminent researchers and innovators, including Tesla founder Elon Musk. 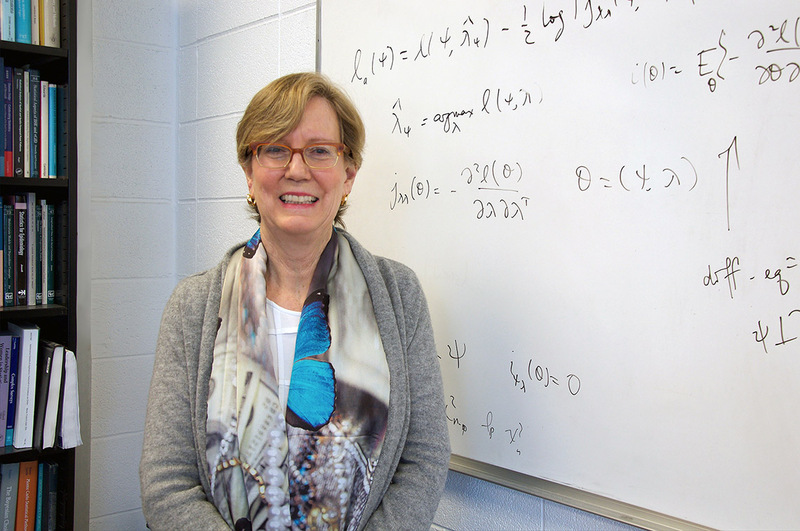 Over the span of her career, Reid has excelled as an important contributor to the field of theoretical statistics, especially in the area of statistical inference – making sense of large and complex sets of data. “Whether you are studying health or air pollution or you’re discovering new planets, almost every scientist uses statistical analysis in one way or another,” says Reid. The versatile nature of statistical theory and its application across any field of science drew Reid to statistics in the first place. In 1979, she earned her PhD in statistics from Stanford University and joined U of T’s department of statistical sciences seven years later. Through her groundbreaking work, Reid has gained wide recognition. She is an Officer of the Order of Canada, the Canada Research Chair in Statistical Theory and the first woman to receive the President’s Award of the Committee of Presidents of Statistical Societies, one of the most prestigious international awards in statistical science. Over the years, recognizing and supporting women in STEM [science, technology, engineering and mathematics] fields has increasingly become a priority for her, she says. To draw attention to gender barriers and inequality in her field, Reid wrote an essay in 2014, titled The Whole Women Thing, examining cognitive biases that impact the advancement of women in statistical science. The Royal Society’s ceremony to welcome new fellows will take place in July in London. Reid joins Eugenia Kumacheva, a University Professor in the department of chemistry, and Janet Rossant, a professor of molecular genetics, as the third female scholar from U of T to become a fellow of the Royal Society.